BMW 2 Series Coupe Performance, Engine, Ride, Handling | What Car? The 2 Series Coupé’s 2.0-litre diesel engine is available in three guises. There's the 218d with 148bhp, the 220d with 187bhp and the 221bhp 225d. The 220d is a popular choice among those who appreciate a swift turn of speed, but the 218d has a similarly gutsy mid-range for relaxed progress and offers impressive enough outright performance most of the time. The 225d is as quick as a hot hatchback, but also a little pricey. The petrol engines are all turbocharged and start with a 134bhp 1.5-litre three-cylinder, badged 218i. A six-speed manual is standard and helps you to make the most of the engine's willing performance at higher revs, but the smooth, responsive eight-speed automatic is well worth considering if you don't mind spending a bit more. Those who fancy a bit more poke have a choice of two 2.0-litre four-cylinder units (220i and 230i), with 182bhp and 249bhp respectively. The 220i is pretty strong, but needs to be revved higher than the 220d diesel to access its performance. 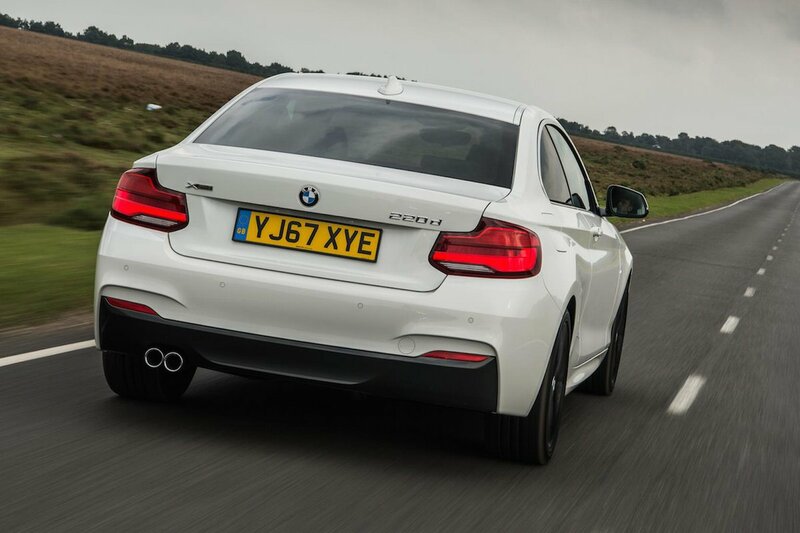 The 230i is similarly inclined, but noticeably quicker when you do give it the beans. If you want a true performance car, however, then we'd suggest skipping the 230i and buying the 335bhp M240i instead. You get something that's properly quick, grunty at low revs and, being a six-cylinder engine, tuneful, too. The handling of rear-drive models is very good but is set up for safety rather than excitement. If you enter a corner too quickly, the front tyres are more likely to run wide of your chosen line than the car is to snap sideways and catch you out. That’s not to say it isn’t fun; the 2 Series has pointy-feeling handling that encourages spirited driving, while the steering is light and pleasingly direct. You can add four-wheel drive (badged xDrive) to the 220d model, but we haven’t tried it yet. The only one you do have to watch is the M240i: switch off the traction control on a damp day and you'll need your wits about you, even in a straight line. 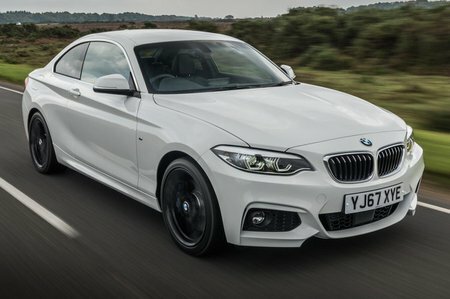 The 2 Series, in SE and Sport trims with 17in alloy wheels, is mostly comfortably on the UK’s pockmarked roads, so you don’t need to add the optional adaptive dampers to enjoy a well-resolved ride. The exception is the M Sport trim, with stiffer suspension and bigger 18in alloys that make the ride quite brittle — those adaptive dampers are a worthy addition. The same is true of the M240i. BMW’s four-cylinder diesel engines might be great for performance, but they're less impressive when it comes to refinement — the 2 Series Coupé is no exception. The motor in the 220d quietens down once it's warmed up, but is still generally gruff and you feel too much vibration through the pedals and gearknob. The petrol engine in the M240i makes a great noise when you want it to, but which conveniently fades away when cruising. There's a fair amount of wind noise from around the front pillars on all models.